Trainer Tommy Bourke and Rocky King. SPEAKING from Melbourne yesterday where he is about to campaign with Rocky-owned Rocky King, the sadness in the voice of former Callaghan Park trainer Tom Bourke was apparent. "I can't get over it really. Even down here (Flemington racecourse) the death of Carly-Mae (Pye) has hit home. "It is shocking. She was such a great girl and rider. A real horsewoman apart from being a very accomplished rider of racehorses and show- jumpers," Bourke said. While Carly-Mae Pye took great pride in twice being awarded Champion Queensland Country-based apprentice by Racing Queensland, she and Rocky King had something special going. Without doubt, Carly-Mae's finest achievements was in the recognition bestowed upon her when she won on Rocky King at Eagle Farm, Brisbane, on August 15, 2012. It occurred on the annual Exhibition Holiday meeting, and as Carly-Mae's first metropolitan winner, she must have felt like a young first-time kid in sideshow alley. "I remember the day and as if it was yesterday. 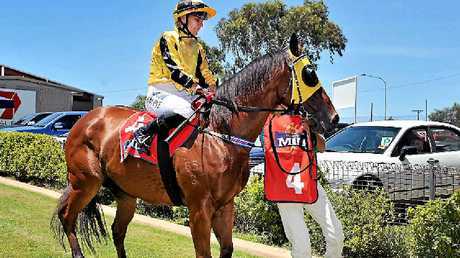 As she brought Rocky King back to the winner's stall she was over the moon - so excited," Bourke said. Hesitating momentarily, Bourke regained his composure, cleared the "frogs" from his throat and went on. "I can still see her there coming in with a tear in her eye. She was ecstatic. Just so excited. I'll always treasure that day and Carly-Mae's joy, especially more so now that she has gone," he said. In all, Carly-Mae Pye rode Rocky King six times during his first 10 starts. "Carly won two races on him at Eagle Farm as she won around the Christmas period as well in 2012 (December 19). 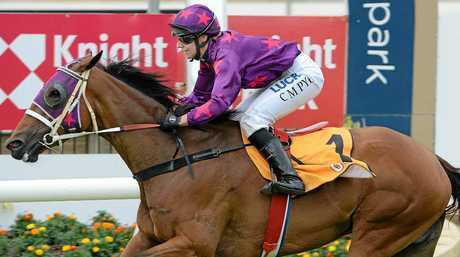 Also she rode him to win twice at the Sunshine Coast," Bourke recalled. 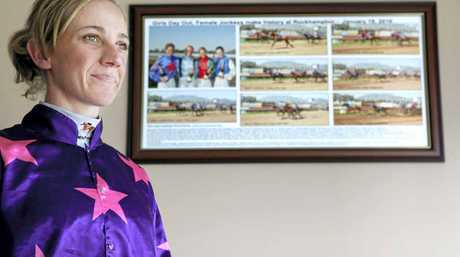 Those wins out of her own backyard against the state's top jockeys were testament to Bourke's (a former jockey himself) belief and confidence in Carly-Mae Pye's ability. She didn't let him down. 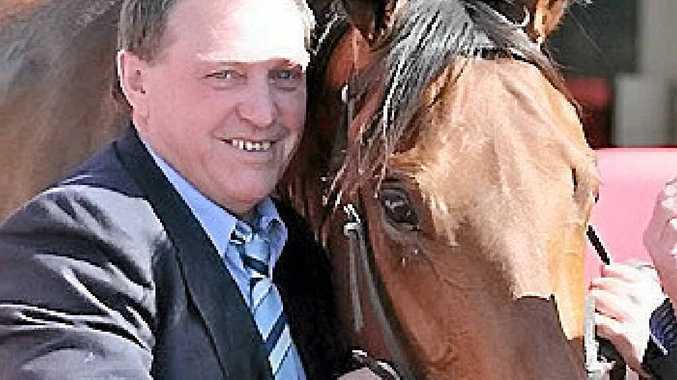 He agreed, Carly-Mae played a pivotal role in Rocky King's early racing career, which was the launching pad to his present status of Rockhampton's biggest prizemoney winner on $367,300. The eight times Brisbane winner will start his Melbourne campaign at Moonee Valley on Cox Plate Day, October 25. "He's working really well and settled in well at Flemington," Bourke said. 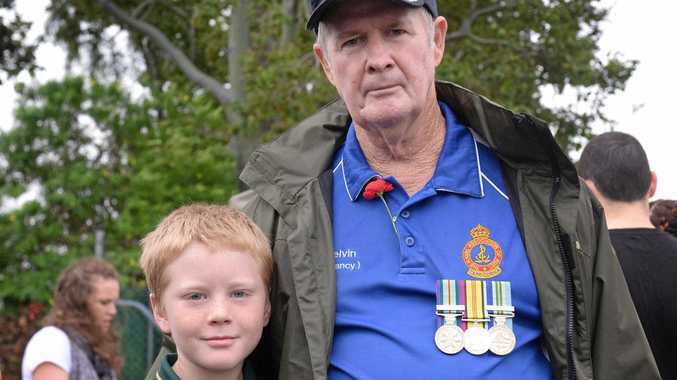 If there are grandstand riders in the sky, it's a sure bet that Carly-Mae Pye will be urging Rocky King on during his Melbourne Spring Campaign. The final word from Tom Bourke: "Tell everyone up there I'm sharing their loss about Carly-Mae." Just then - uncannily - the sound of a horse whinnying came through the phone. It was as if Rocky King in his own way was expressing his sentiments about one of his favourite jockeys.